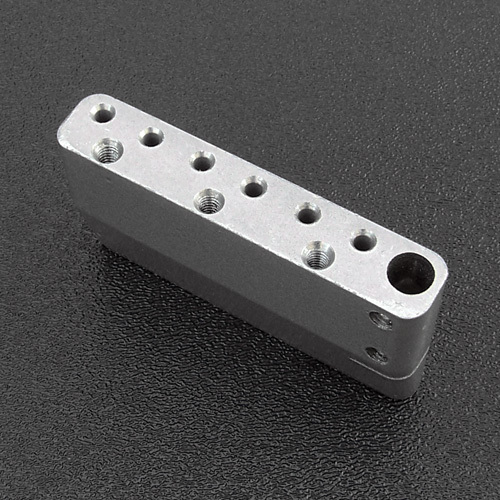 Genuine Fender® American Deluxe / Ultra / Elite Strat® tremolo block. Solid steel for authentic Strat® tone. E to E string spacing of 2-1/16". This is a BARE TREMOLO BLOCK. 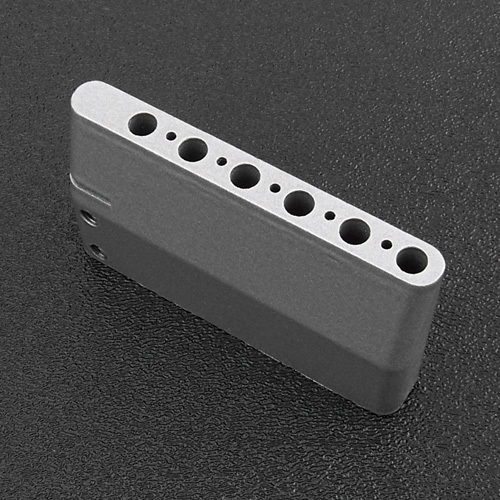 Does NOT include the nylon bushing for tremolo arm, tremolo arm retaining clip or the two set screws for tremolo arm tension adjustment. These items are listed separately below.